For a connection between the device and device, transmission data and signal. UL certified high-quality cable. With two UL F-connectors on each end. USB to 30-Pin Cable from CE Tech charges your iPad, iPod, iPhone - or other 30-pin enabled device. Provides power recharge and data transfer to device. 6 ft. cable length. Connect your video equipment to an in-wall coaxial cable installation with the CE-TECH White F-Connector Wall Plate. This wall plate is durably constructed for long-lasting use. 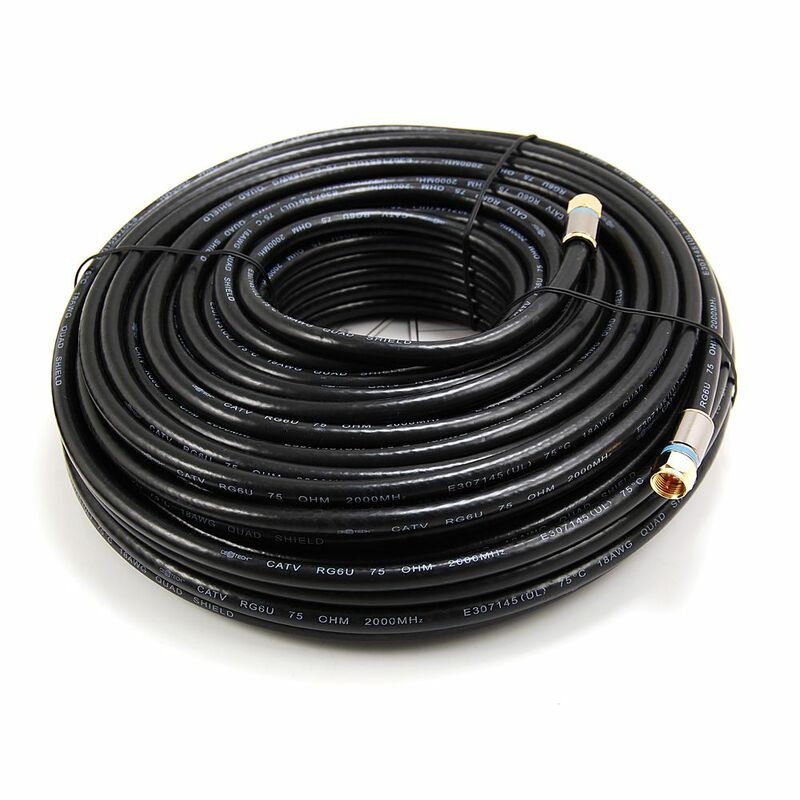 100 ft. RG6 Quad Shielded Coax Cable in Black For a connection between the device and device, transmission data and signal. UL certified high-quality cable. With two UL F-connectors on each end. 100 ft. RG6 Quad Shielded Coax Cable in Black is rated 4.2 out of 5 by 17. Rated 3 out of 5 by cnewton395 from Works fine for most uses. Works fine for most uses. Rated 5 out of 5 by HomeDepotCustomer from Just what I needed.... Just what I needed. Rated 5 out of 5 by Jason from Very convenient to purchase and use.... Very convenient to purchase and use. Rated 5 out of 5 by Steve from This product did very well for bringing the signal from my outside antenna into my television. This product did very well for bringing the signal from my outside antenna into my television.